The Marsden MS-2500 is a set of High Capacity Weight Scales (with Body Mass Index function). Designed with heavier users in mind, but with an eye on being as portable as possible (due to the fitted wheels and ability to be flat packed). 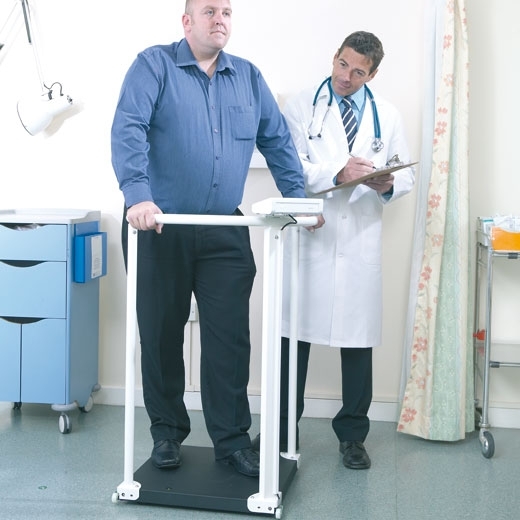 These stable and robust scales can accommodate users of up to 47stone, and with the data out port can be connected to a Marsden Printer allowing data and progress to be analysed easily. With an approved ‘hold of weight’ feature, and with its internal rechargeable battery pack, these scales can give up to 80 hours of continuous weighing. As unobtrusive as it is practical, the Marsden MS-2500 is a Class III approved device.